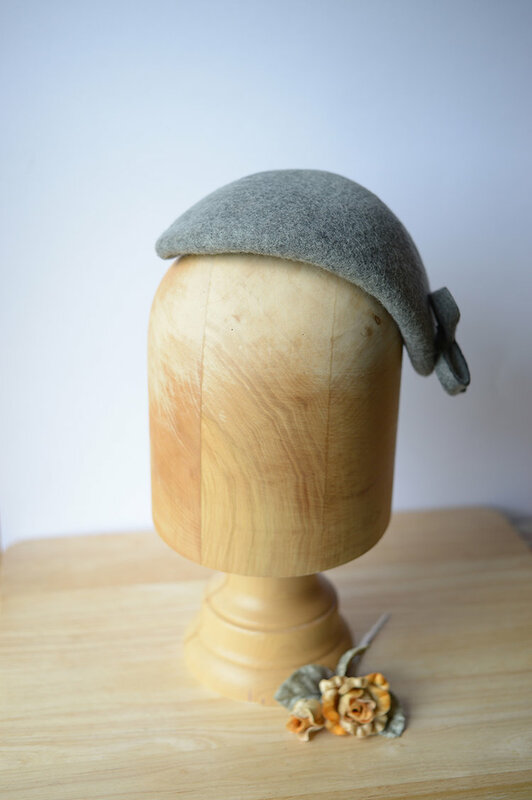 Useful little light grey free formed late 40’s to 50’s style side cap hat. 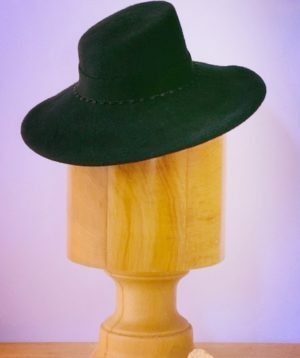 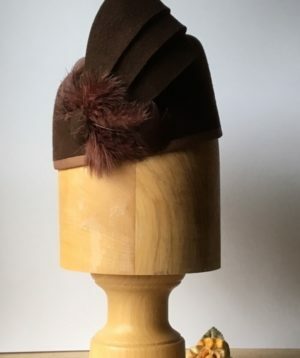 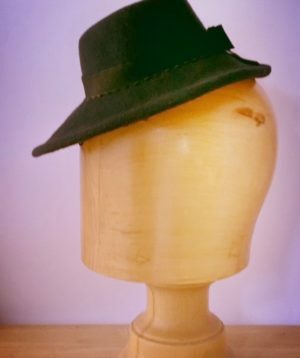 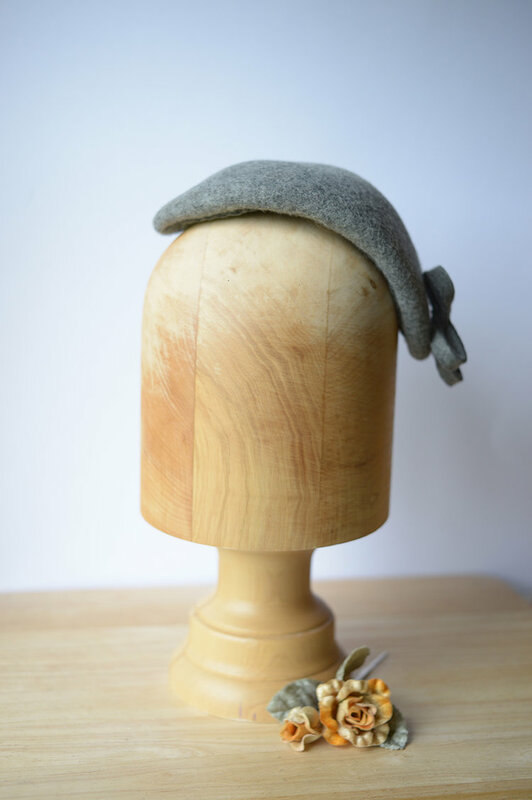 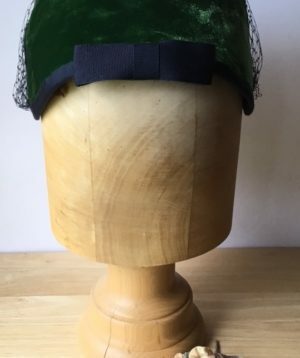 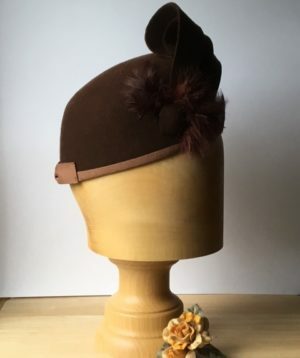 This hat stands proud on the head by 1/2 inch to be noticed when worn with hair styles that are full of volume and has hat elastic to keep in place. 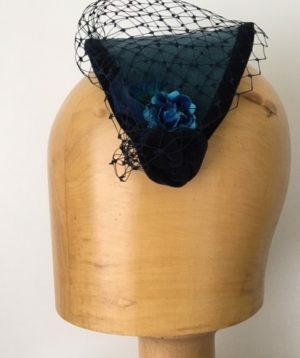 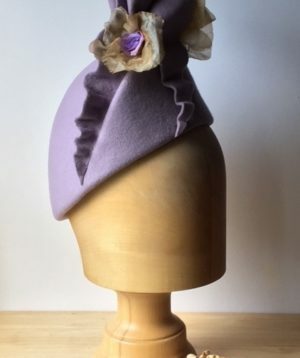 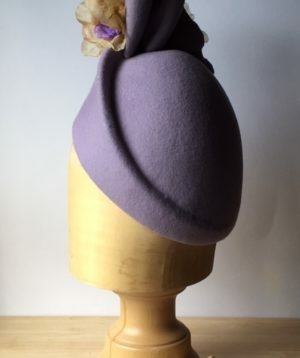 The hat is finished with a grey bow style motif and can be worn either side. 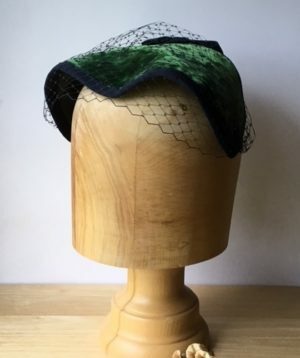 It can be worn forward or further back depending on preference and style of hair.